Texas Department of Transportation utilized All Points Media’s network of grocery stores in Texas. Their goal was to reach mothers with infants and children located in various cities throughout Texas. TxDOT wanted to bring awareness to mothers to get their children’s car seats checked. 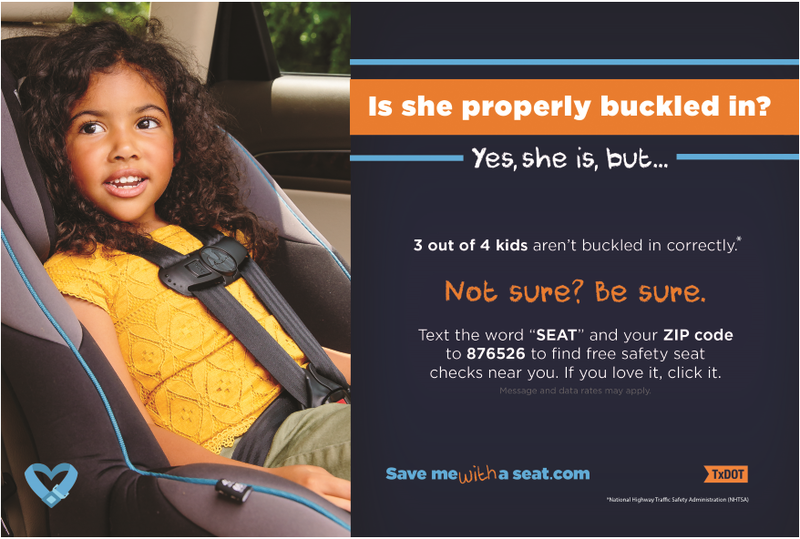 TxDOT was promoting this message to decrease the number of injuries and fatalities of infants and children due to improper car seat installation and manufacture issues. (10) 6”x9” laminated graphics to display on shopping carts and baskets.